Facebook is one of the most popular social network platforms available all over the web. Billions of users access this amazing service for personal and commercial purposes. It helps users to stay connected with their old friends, families, and colleagues. With the help of it, the user can easily send or receive text messages, images, videos, etc. This is one of the best medium of communication on the web. It is available for all the versions of the operating system. Users can easily run this app on an Android or on the iOS device. There are over a billion people out there using the Facebook Messenger app on their iPhone and Android each month. When something goes wrong, and the app stops working, it becomes a huge problem for many people. 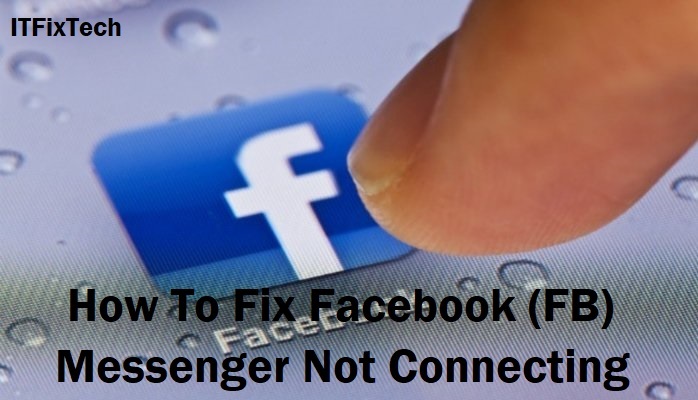 If your Messenger app won't work on your iPhone and you're not sure why you need to know how to fix the not connecting problem. Below, we're going to explain how to fix the problems and get your app working again. This simple step may be enough. If the FB messenger app seems frozen, all you need to do is press the home button two times, and once you see the list of apps, find this one, and swipe up to close it, and open it again. Hopefully, it will work just fine for your facebook messenger not connecting issue. Step 2: Is Your App Up To Date? This is one of the most important questions, whenever some of your favorite apps doesn’t work properly. Go to the App Store, and see if there is an update for the Facebook messenger. Find the Facebook messenger icon on the Home screen. Tap and hold, until an X shows up. Click on it, and the app will be deleted. Go to the App Store, and download and install it again. No matter which iPhone model you own, a restart is always a good idea when something like this happens. By pressing and holding the sleep/wake button, you will see the red slider. Just drag it, and turn your device off. Use the same buttons, and turn the phone back on. From time to time, you should check if the new iOS version is out. If it is, download it and install it. To do that, go to Settings > General > Software Update. FB Messenger application runs perfectly almost always, but like some other apps it may become unresponsive. If you are Facebook user and facing these kinds of issues, your Facebook messenger is not connected or running properly, then don’t worry, here we are providing you some troubleshooting stepss for this kind of issues. Check your internet connection. Make sure your device is well connected to the internet. This may be also one of the reasons when the Facebook messenger is not running properly on your Android device. If the FB messenger app seems idle, all you need to do is to click the home button twice times, and once you view the list of apps, find FB, and swipe up to close it, and run it again. Hopefully, it will fix your issue not connecting, working properly Fb messenger. Whenever your FB messenger app doesn’t work properly. You need to go to the App Store and check if any updates for the Facebook messenger is available. If you are using an old version of this application, then you must need to update it with its latest version. Maybe this will fix your issue FB Messenger app not connectiong or working correctly. Go to the Facebook messenger icon located on the Home screen of your Android device. Click and hold, until an X appears on the screen. Press on it, and the FB messenger app will be removed from the device. Then, you need to go to the App Store and download and install it again. By performing this, maybe your issue Facebook Messenger not working, connecting will be resolved. No matter which Android device you own, a restart is always a good option when something like this occurs. By pressing and holding the sleep button, you will view the red slider. Just slide it, and switch your device off. Then, turn the phone on again and run FB messenger. By turning off and then turning back on may fix your issue. You should check for newer version of the operating system is out. If it is, download it and update it. Maybe this will resolve your issue Faceook Messenger not working. Maybe you don’t have enough storage space on your device. Delete the unwanted messages, files, photos, audio and video you no longer need. This may be the reason due to which FB messenger is not working or connectingon an Android device. After resolving the storage issue, check if the app is working , connecting properly. Note: We are quite sure these troubleshooting steps fix Unfortunately Stopped Messaging in Facebook messenger on iPhone and Android Phone. Still have any question, not to worry call on 1855-925-7088 and get solution to all your queries.